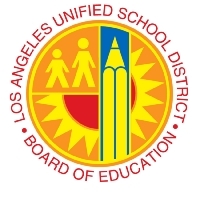 LOS ANGELES (Sept. 17, 2013) – Thirteen schools in the Los Angeles Unified School District achieved an Academic Growth Over Time ranking of Far Above Predicted for the past three years, according to just released data from the District. The group – Aurora, Hoover, Morningside, Brooklyn Avenue, Gardena, Vermont elementary schools; and Berendo, Burbank, Edison, Palms, Pio Pico, Wilmington, middle schools; and Bell High School – achieved Far Above Predicted results in English Learner, math, the California High School Exit Exam (CAHSEE) or Algebra 1. It is noteworthy these schools represent every region of the District, and serve a wide range of student populations. The latest data also revealed spectacular results at particular schools. Four elementary schools with English language arts or math proficiency rates below district average recorded Far Above Predicted in both categories: 10th Street, Broadous Avenue, Gardena, and 99th Street elementary schools. In the category of CAHSEE AGT, Northridge Academy and Polytechnic senior high schools achieved Far Above Predicted in English Learner and math. Academic Growth Over Time (AGT) is a statistical method used to identify the individual impact of a school, school leader, or teacher on student learning. It is based on a value- added approach, where a student’s California Standards Test achievement from the previous year is used, along with information about that student’s background characteristics to predict future performance on the California Standards Test. Growth estimates are provided for each school and grade level compared to the District average. Academic Growth Over Time or other value-added measures follow the progress of the same cohort of students over time. By examining achievement and growth data together, the District has a more complete picture of how its students are doing, and how it’s improving student learning over time. School-level results can be found at http://agt.lausd.net.